Pundits and political scientists will be studying the details of last Tuesday's election for decades. But here in Oregon some lessons are clear already. Terrible timing for Republicans. Rep. Knute Buehler is the kind of Republican who used to thrive in Oregon. In his bid for governor, Buehler largely followed the playbook written by Mark Hatfield, Bob Packwood, Dave Frohnmayer, Norma Paulus and other GOP leaders who won statewide office, staking out moderate stances on social issues and championing some traditional Democratic causes (in his case, education and foster care reform). He ran a smart campaign but still got soundly thumped by incumbent Democratic Gov. Kate Brown. 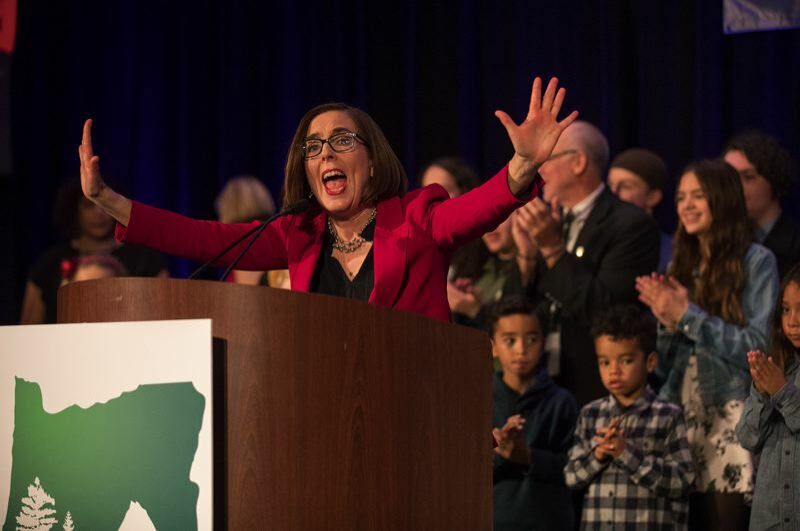 Buehler couldn't overcome an anti-Trump backlash that also saw Oregon Democrats make surprising gains in the Legislature. Democrats will start 2019 with their much-coveted supermajorities in the state House and Senate, meaning they can raise taxes and fees without any Republican votes. It will be interesting to see if that's what voters truly wanted. The Independent Party is toast. The Independent Party of Oregon, which was on life-support before this election, is now in danger of flatlining. Their gubernatorial candidate, Patrick Starnes, barely beat out Buehler and Brown for the IPO nomination. The IPO then used the threat of legal action to get Starnes invited to the first televised debate, where he struck up a cordial relationship with Gov. Brown's camp. Then in the final week of the campaign, Starnes played "Let's Make a Deal" with Brown, ending his anemic campaign and endorsing her in exchange for her pledge to make his pet issue, campaign finance reform, a top priority. It was a savvy move for Starnes, but it left his party in disarray. If their registration dips below 5 percent, as it likely will, they lose the big perk of major-party status: publicly funded primary elections. Big money doesn't always win. Phil Knight's $2.5 million contribution to Buehler didn't buy a victory. And in Southern Oregon, Democrat Jeff Golden is heading to the state Senate after tuning out party officials who said he couldn't win without big donors. Portlanders, meanwhile, overwhelmingly passed a campaign finance measure imposing limits on contributions, setting up a court challenge that likely could be resolved only with the aid of lawmakers, who get re-elected with the help of lobbyists who like the current system. Brown promised to make campaign finance reform a priority. She showed little interest in that cause as secretary of state, but now that she doesn't need to worry about re-election, she could spend her political capital and leave a lasting legacy. Transportation help may be on the way. With Democrats soon to be in control of the U.S. House of Representatives, transportation could move to the forefront — nationally and right here in Oregon. Democrats are proposing a $1 trillion package for roads, bridges, water systems and other infrastructure. DeFazio would pay for it with an increase in the federal gas tax. How much of that money would come to Oregon is unknown, of course, but it never hurts to have one of your own heading such a powerful committee. Our delegation has clout again. Meanwhile, Oregon's other Democratic members of the House once again would become relevant. Earl Blumenauer is on the Ways and Means Committee. Suzanne Bonamici is the vice ranking member of the Education and Work Force Committee. And Kurt Schrader is a member of the Energy and Commerce Committee. The state's lone Republican congressman, Greg Walden, will slip in authority once the new Congress is seated in January. We hope he will once again learn the value of bipartisanship. Oregon leads the way (again). Nationally, the media was awash in stories of long lines at, shortened hours for, and even hastily relocated polling places.